One of my most favorite things about the holiday-time is gift-giving. Seriously, I get a little wild and crazy buying people gifts, and I pride myself in being a terrific gift-giver. For me, it's important to gift people with practical items that they will actually enjoy using and have a general need for. So, shopping for gifts is easy-peasy for me. It's the gift-wrapping that takes up too much time and can become complicated (especially for those oddly-shaped presents). While I'm not terrible at gift-wrapping, there are definitely others who have a natural talent for wrapping presents. Again, I'm not the worst, but I am definitely not one of those talented folks. So, instead of taking up too much time wrapping gifts, or just throwing things in bags (I somehow always tend to choose the wrong size), I've cut down on issues in gift-packing by using food storage containers as an easier way to pack gifts. Luckily, Rubbermaid TakeAlongs, available at Walmart now through December 24, are inexpensive and come in limited edition holiday colors and holiday prints. The soft lid grips the container tightly (no need for tape! ), but opens easily with a large tab. What's even more is that these containers are dishwasher, freezer, and microwave-safe, so your giftee can reuse them - it's like two gifts in one! These Rubbermaid TakeAlongs are super easy to find at your local Walmart, as they are displayed on an end-cap. Impossible to miss! Rubbermaid TakeAlongs come in a variety of sizes, so they're perfect for packing a variety of snacks, treats, and other edible gifts. 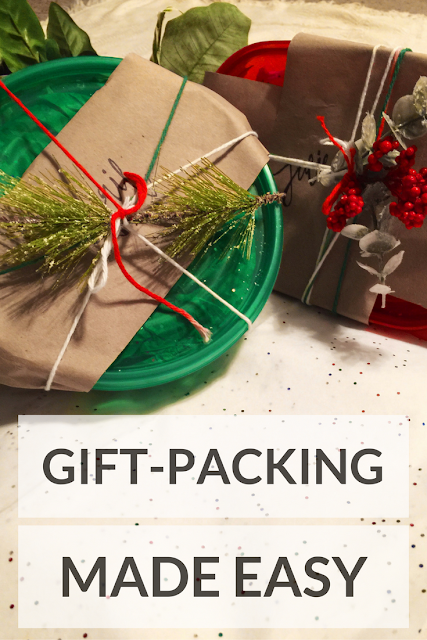 So, follow along so you can learn how to perfect your gift-packing this year using Rubbermaid TakeAlongs. Step 1: Choose your gift(s). These can be some of the ideas listed above, or of course, sweet and simple treats. 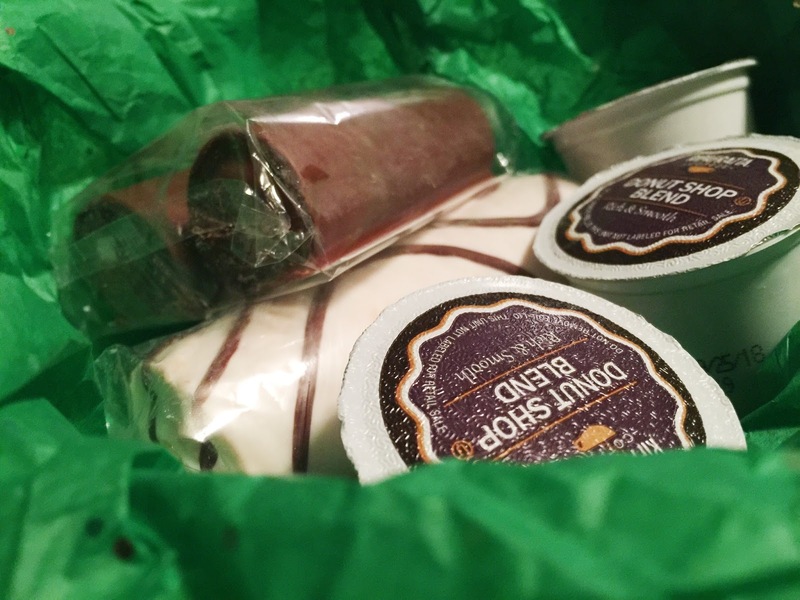 Treats are the perfect gift for those hard-to-shop-for people. Make sure to personalize the gift around what they like. Do they like coffee? Perfect! Single-serve pods or packets. Chocolate? Make a chocolate lover's paradise - hot chocolate, candy bars, double chocolate cookies! Gift them their personal favorites! Step 2: Choose your Rubbermaid TakeAlongs product in the perfect color and size. Step 3: Pick out matching tissue paper, so your giftee won't be able to see their treats before they "unwrap" them. Step 4: Pack your treats! Remember, these can be homemade or pre-packaged treats. Step 5: Snap your Rubbermaid TakeAlongs closed tightly, and decorate with kraft paper, ribbons, florals, you name it! Get wild and crazy. Now you're ready to gift your treats and watch faces light up all around you! Who are you excited to gift to this year? For more holiday inspiration using Rubbermaid TakeAlongs, click here! To follow Rubbermaid on social media, check them on Instagram and Facebook. 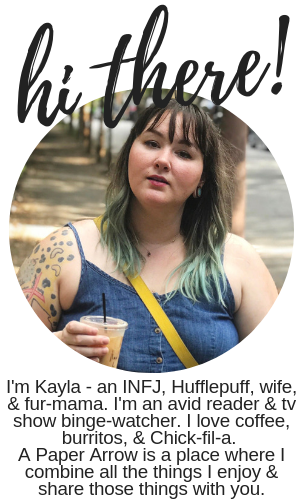 Kayla Whitter is a 20-something INFJ and Hufflepuff. She enjoys reading avidly, binge-watching tv shows, and occasionally venturing out into the world. She can often be found drinking coffee, and eating burritos or Chick-fil-a. Yes. We always use them back and forth between my mother-in-laws. They are great, but inexpensive, so no worries if you lose one or need to throw one away! What a great idea to use them for packaging gifts and not just food! Great tip! Thanks, Mary. I hope you can incorporate it in your gifting this year! What a creative way to use tupperware! I never would have thought of this! Thank you, Autumn! And thanks for stopping by. what a great idea!! so much better than having a ton of boxes to throw away after the fun is done! Thanks, Denise! And it's so easy to do! What a cute idea! I love this! I really like the twine and the greenery added! Thank you! Those are my favorite pieces too! New here? Click here to get started. I am a participant in the Amazon Services LLC Associates Program, an affiliate advertising program designed to provide a means for me to earn fees by linking to Amazon.com and affiliated sites. By clicking links on A Paper Arrow, I may earn a small commission at no cost to you.